Fall is fast approaching and with it, the school year. Teachers, educators, and academics can find grants at GrantWatch.com. These may help enhance or improve classroom curricula, fund field trips, and improve arts and environmental education. You will also find awards for outstanding educators at GrantWatch.com. Teachers usually have a favorite part of their daily teaching activities. For Libby Hikind, our Founder and CEO, a retired NYC public school teacher, her favorite activity was reading to children. For my mother, also a retired teacher, it was the joy of a child’s improvement. For other teachers, it could be other things. GrantWatch provides you with grants and awards to assist you in expanding your favorite activities and results. 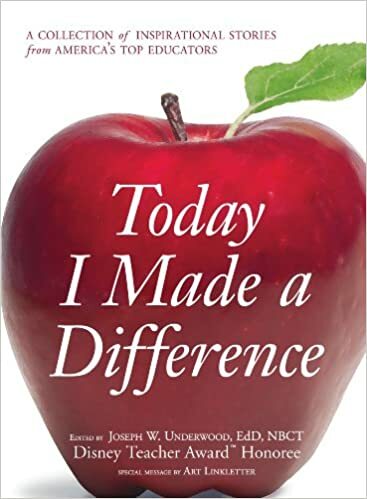 For further reading, check out Today I Made a Difference: A Collection of Inspirational Stories from America's Top Educators by Joseph W. Underwood. This book highlights the stories of top educators in the United States. Each story is about an obstacle that was overcome, a source of internal power to persevere, and reward. Read this book for inspiration to make a difference, as an educator. Go to GrantWatch.com for your grant needs. There, you will find grants and awards for educators to improve classroom performance. For questions, contact support@grantwatch.com or call (561)249-4129. About the Author: Sabeen is a Masters in Public Health. She is currently writing for GrantWatch.com and its affiliate websites.